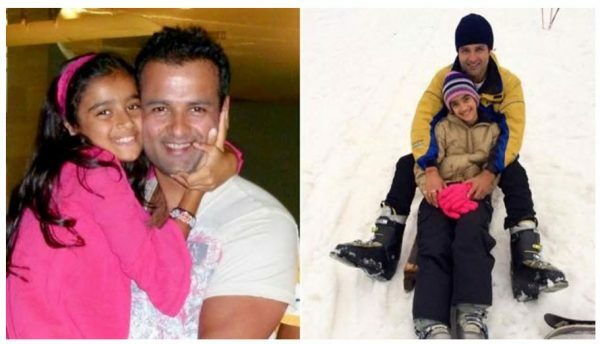 Actor Rohit Roy says that his 14-year-old daughter, Kiara, is unlike kids of her age and she doesn’t make any erratic demands. Actor Rohit Roy leaves no stone unturned to play the doting dad he is, to his 14-year-old daughter, Kiara Bose Roy. Today, on Father’s Day, the actor tells us what makes his daughter so special and sets her apart. And now the make up comes off!! Ready to party!! Happy to u! “I’ve heard all the stories of how it’s tough to handle these teenage kids but I’ve been lucky that Kiara is not one of those erratic, demanding kids. She’s never had any unnecessary demand or tantrums. I’ve never had to reprimand her other than correcting a few things,” says Rohit, who had only once indulged his daughter by gifting her an iphone6. Moreover, Rohit admits that he’s possessive of Kiara and if he’s told that she’s dating someone, he would react quite sharply. “I will probably blow my top and would want to kill that guy. But, then, after I calm down, I’ll meet the boy to figure out if he is worthy to be in Kiara’s life or not. I’m a cool father that way, though my wife refuses to accept that.” So is there anything that Kiara hates about him? “My temper. She says, ‘Papa you have to be patient.’ For her, I am trying to change this trait,” says the Kaabil actor.